Canvas includes several tools for communication between teachers and students within a module. In this post I will give an overview of Announcements, Discussions, Chat and Conversations, looking at when each would be a good choice. 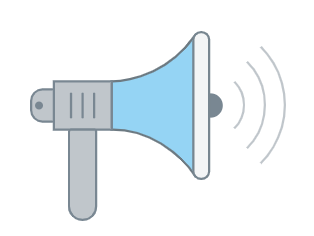 The icon for Announcements gives a very good idea of the sort of communication it provides – it is designed as a one-to-many form of communication just like the megaphone. Announcements in Canvas are a great way of making students aware of important news. For example, if there is a change to the venue for a seminar or you want to remind students to bring something to a session, an announcement can bring this to students’ attention. This form of communication lends itself to short messages that share information. Your message does not have to just be text-based; you can add images, video, files and weblinks to announcements if required. In the Announcements section of the Canvas Module. As a number on the module ‘card’ in Dashboard view. Students and other staff on the module may also get notifications about announcements (see below). How do I delay posting an announcement until a specific date? How do I show recent announcements in the Home Page? Discussions in Canvas are designed for more than a single message, allowing members of a module to discuss a topic in more depth. Discussions are great for extending the sharing of ideas and understanding beyond lectures and seminars. The Rich Content Editor that is used throughout Canvas allows Discussion posts and replies to include a range of content such as images, videos, weblinks and files, so there are many options for students to express and share their ideas. 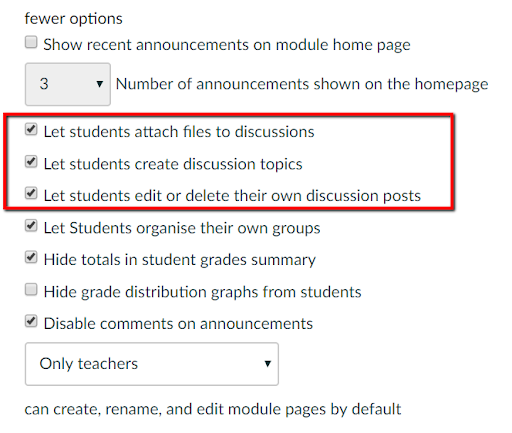 Students can create Discussions, either in the module (if enabled in Settings) or in their own groups. If required, discussion posts can be graded or students can ‘like’ replies so they could be used as a formative and/or peer assessment. A recent TEL blog post on 5 ways to make online discussions work in your teaching offers some great tips on using Discussions. It is important to remember that unlike a forum, a Canvas Discussion is focused on just one topic, so you would usually expect to see a number of discussions on different topics within a module. If you want students to be able to create discussions and/or upload files to them, then the relevant setting(s) need to be chosen in Settings / Module details / more options. How do I create a group discussion? 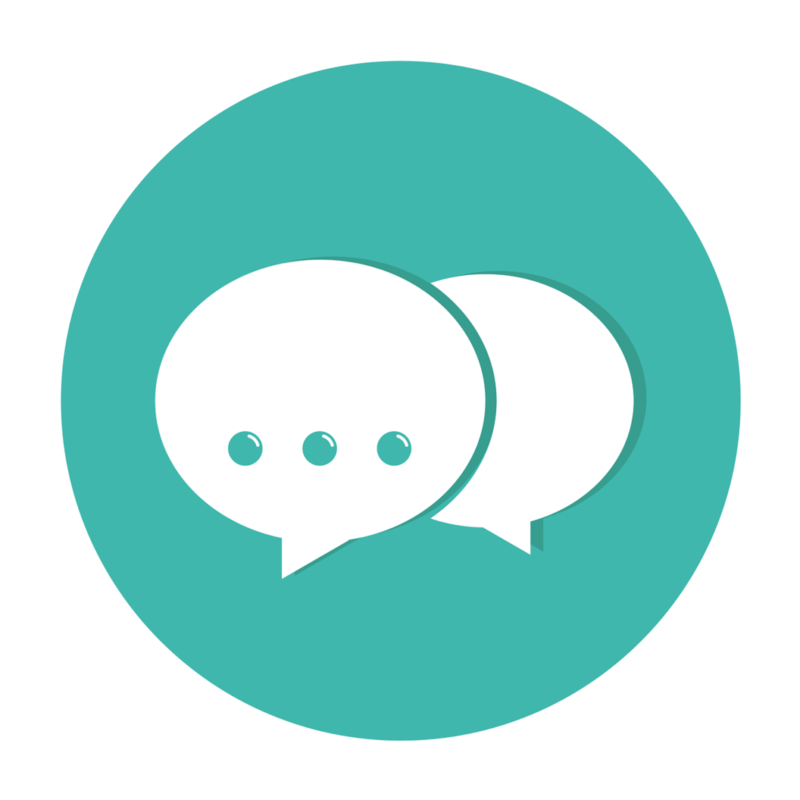 The Module Chat feature facilitates real-time, informal conversations between members of a module (staff and students). 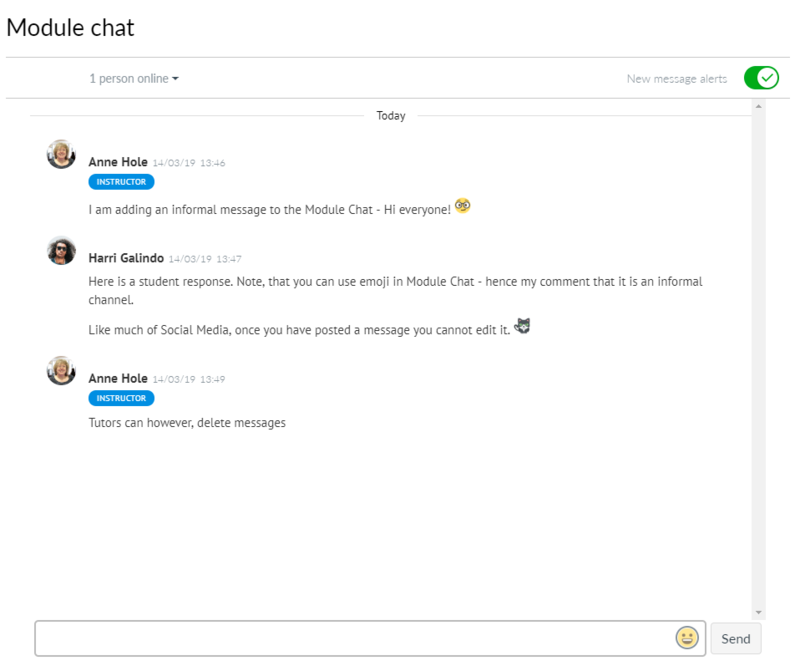 Chat does not have the functionality of Discussions, but allows quick messages like you might see on social media platforms, including emojis. When Chat is enabled, a Module chat box is visible at the bottom right of all module screens. When you click on the arrow the window pops up and you can see comments that have been posted, or add your own. You can also see the whole chat by clicking on Chat in the module navigation menu. As a ‘live’ form of communication, chat messages do not produce notifications through other channels such as email or SMS (see Notifications below).. You can choose to have ‘new message alerts’ within Canvas which will sound a ‘ping’ when a new message is posted, so it is best used at a time that you are logged into Canvas and ready to respond to messages. Chat can be enabled or disabled by editing the Navigation menu. How do I use Chat as an instructor? How do I use Chat as a student? This is the mode of communication closest to email, with messages sent, received and managed through the Inbox on the global navigation menu. Tutors can send messages to people attached to any of their modules, either individually or as a group, including a media message (audio or video) and attaching files if required. These messages are handled at the user account level, so you can see all your incoming messages in one place or filter them by module. The default notification for Conversations is the counter which appears on the Inbox icon in the global navigation menu. Users may also have set their Notifications to create an email or SMS text when a message is received, but this is optional. If you are not receiving notifications for Conversations, be sure to check your Canvas Inbox regularly. If you are using Discussions or Conversations in your modules you can adjust your Notification settings so that you are alerted about new discussions, replies and messages. You can also get notifications about announcements. You can add alternative email addresses or a mobile phone number if you prefer SMS notifications. For each ‘event’ on Canvas you can receive email notifications immediately, as a daily summary, a weekly summary, or not at all. For example, I might want a daily summary of replies to discussions, but immediate notifications of new announcements and messages in my Canvas Inbox. Notifications preferences apply across a user’s account, not per module, but if you find you are receiving too many or too few notifications you can adjust your options. All Canvas users can set their own notification preferences, so students can also control what notifications they receive.